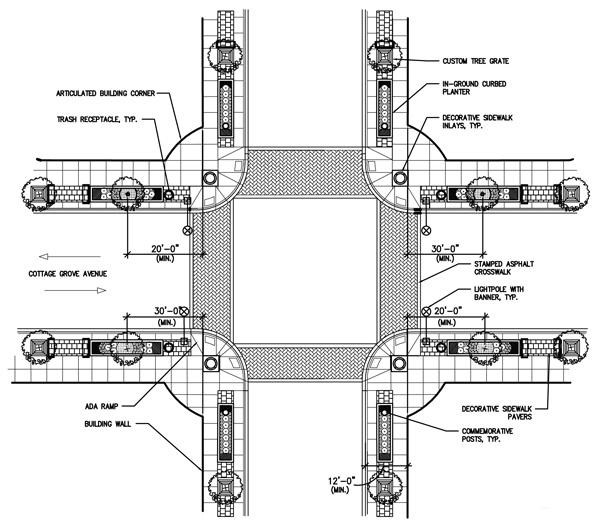 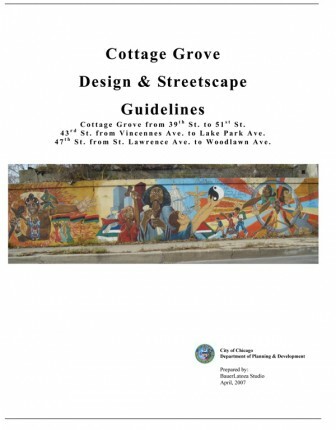 Bauer Latoza Studio developed architectural and streetscape guidelines for a thirty-block area along the Cottage Grove Avenue corridor, in the near South Side of Chicago. 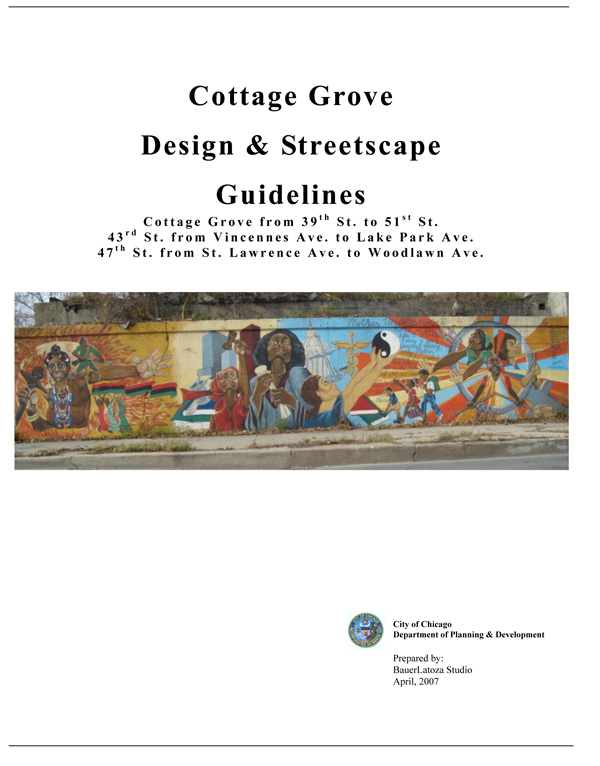 The firm worked closely with the City of Chicago Department of Planning and Development, the Cottage Grove and 43rd Street TIF Council, and the Quad Communities Development Corp. to define the character of the neighborhood and incorporate artistic and cultural elements that reflected the heritage of the community. 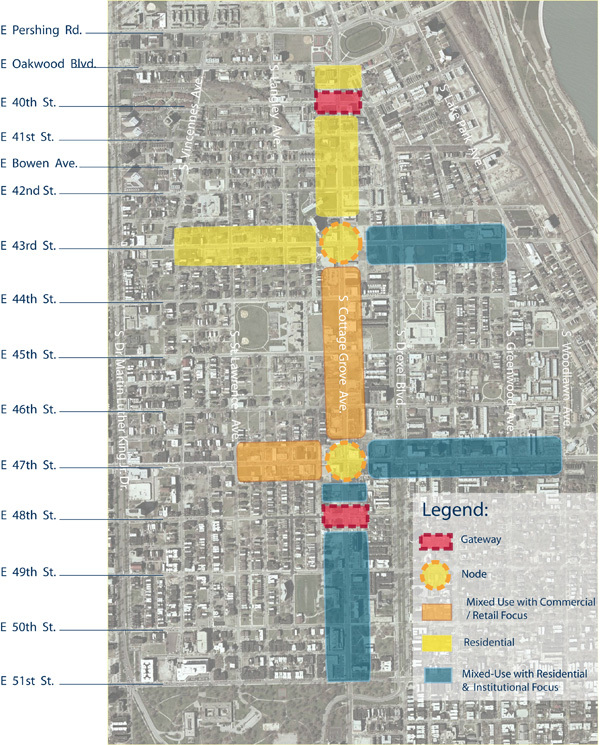 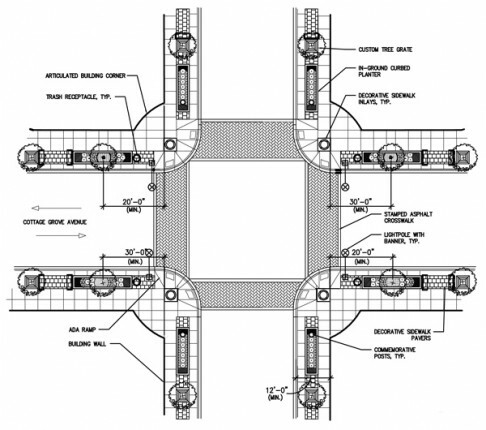 The guidelines provide a framework for future development within the Cottage Grove corridor. 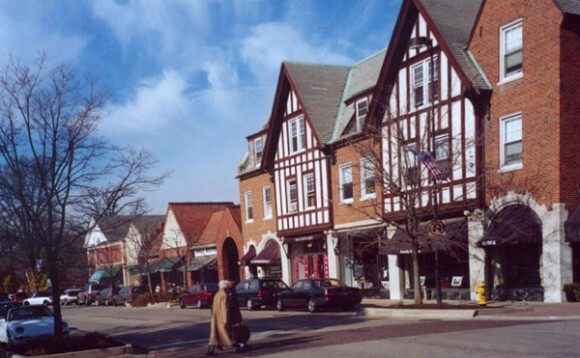 Land use and density along the corridor were addressed and refined to create a destination retail core and provide for mixed-use development with a residential and institutional focus. 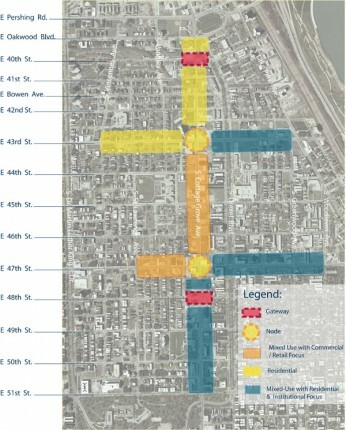 Public art installations such as murals, mosaics, and sculptures were recommended at important “Nodes.” “Gateways” were established to announce and celebrate the corridor. 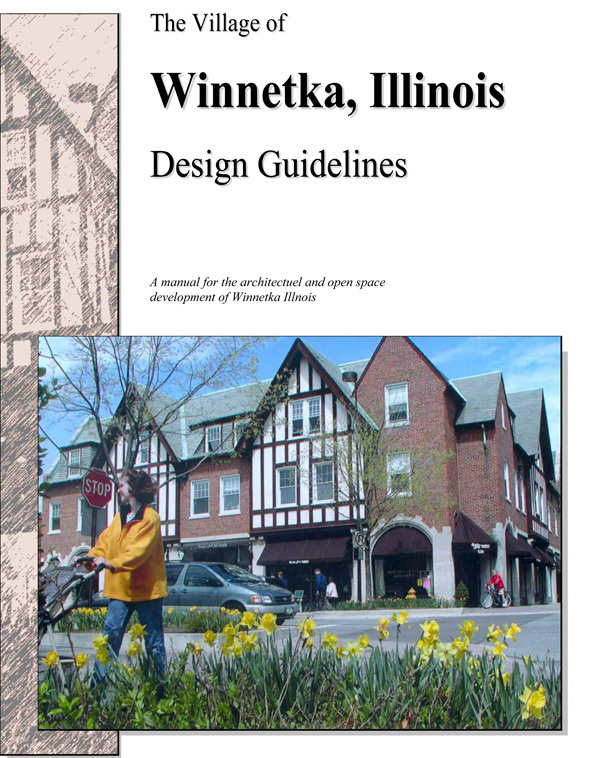 Bauer Latoza Studio developed architectural and landscape design guidelines for the three commercial districts within the Village of Winnetka, focusing on commercial, institutional, and multi-family residential buildings. 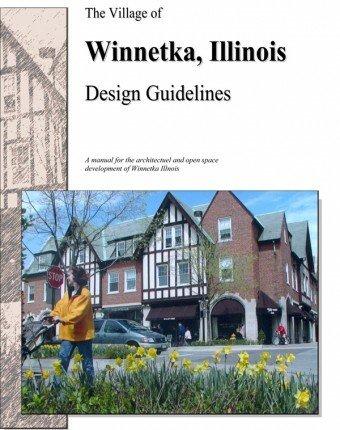 The design guidelines provide direction to architects and developers working within the Village and also set a standard of reference for the Village Design Review Board. 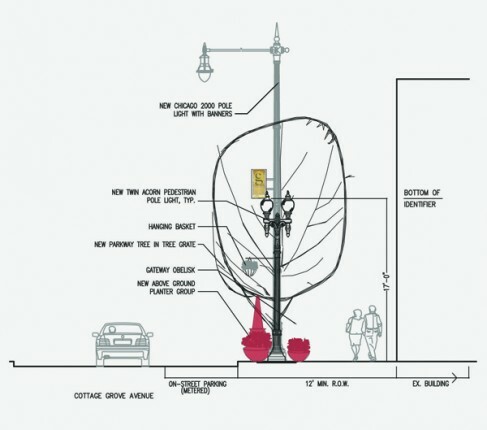 The project included a series of community meetings and workshops for public input and consensus-building during the development of the guidelines.